As the image above shows, there are so many Facebook accounts that go by the 2 names of this domain. These also happen to be my names, and that of many other people. 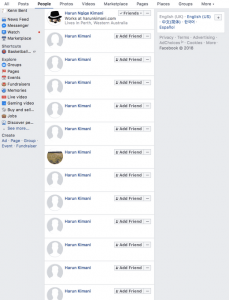 Obviously, many of these FBK accounts are fake, something that is quite unusual for non-public figure names. On Twitter, there are also many such accounts, though less than those on Facebook. 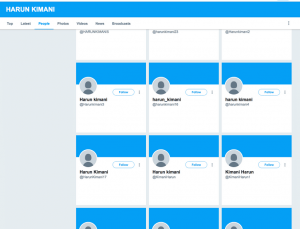 The problem is that such accounts may be a front to bait innocent people. That is why I registered this domain name, where I link all my accounts. Just trying to play safe.